As has become a PSO2 tradition an update page with trailer, screenshots and little detail for the update named “Where Darkness Gathers” has arrived. Embedding the trailer below. 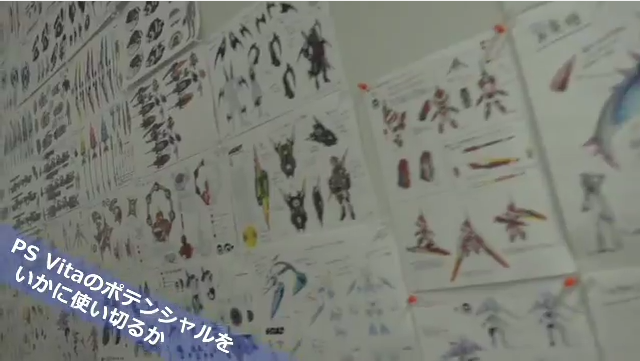 Given the pattern of previous trailers it’s fairly safe to assume that the background music will be the theme of Dark Falz. Or a least for one of his forms. 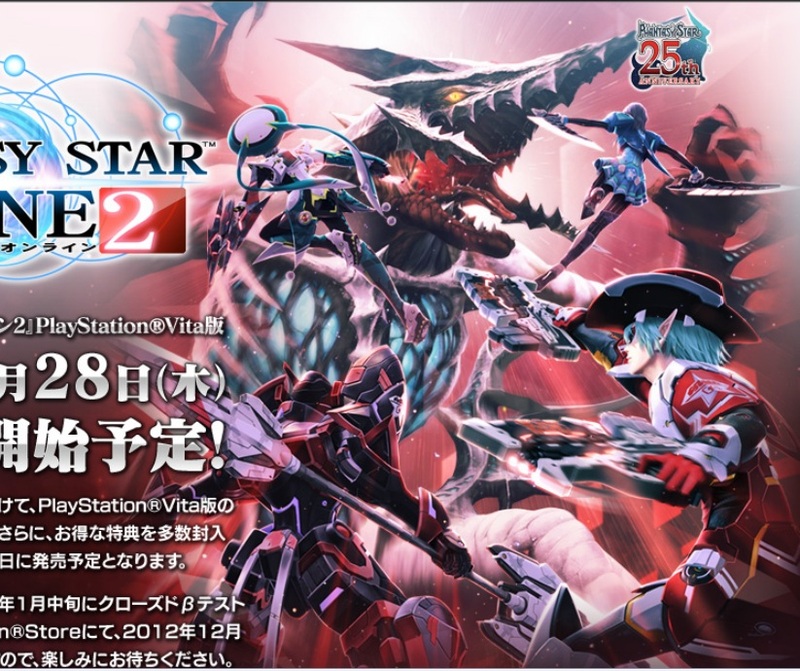 This update is fairly immense..
PSO2 will be having yet another live broadcast, talking about the upcoming update as well as attempting to play some of it. It’ll be broadcast here on the 4th of December, the day before the update. Falz will be appearing in an emergency quest which was already talked about. This quest won’t actually be arriving until the 12th of December, however. 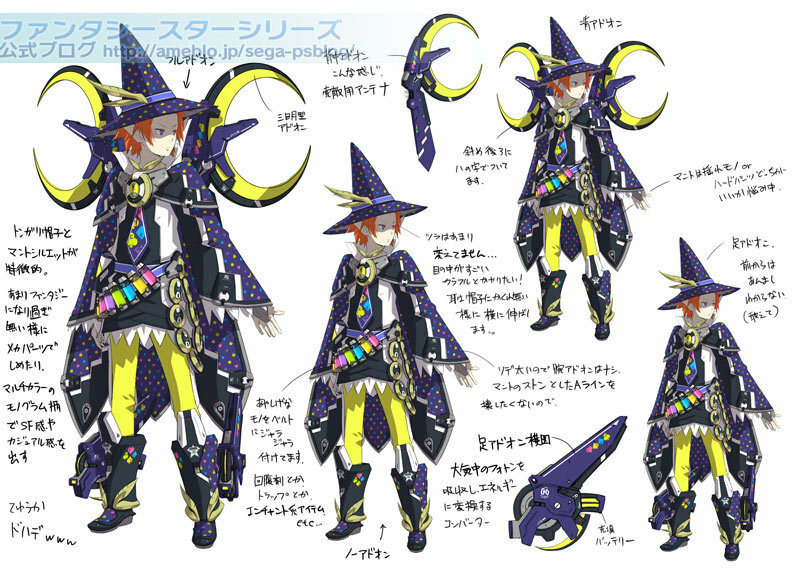 As was explained before, defeat enough Falz Arms in the time limit in order to battle against Dark Falz Elder. However, it tallies up the total number of arms defeated by the entire ship, it’s this that determines if you’ll be able to go on to fight Dark Falz Elder or not. The game will inform you at various intervals how well your ship is doing. I wonder if the Falz Arms that are defeated on Normal will be worth as much as the ones defeated on Very Hard? You’ll be battling Falz atop a chunk of a destroyed Arks Ship, somehow being able to breathe in space. It’s ok, we could apparently breathe in space in PSU as well. Probably because photons. Notice the white names in the above screen-shot, confirming that it’s a multi-party quest. Also, remember this thing? 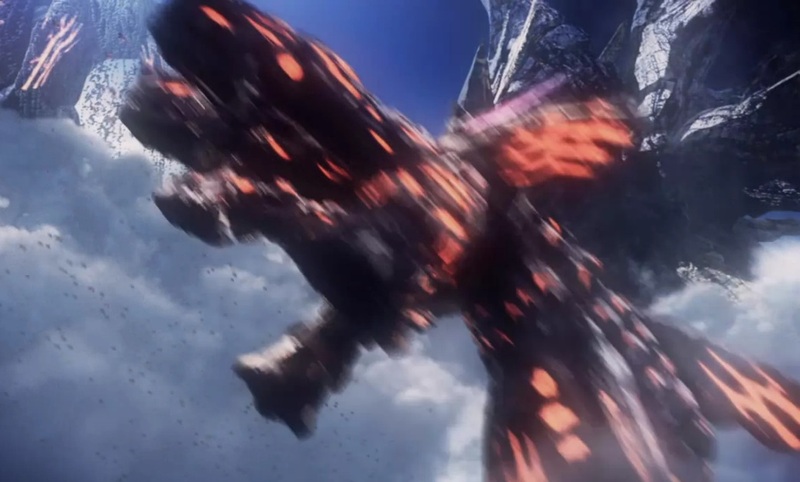 There seems little doubt that it is in fact a Falz Arm that we see flying off at the end of this trailer. I wonder if, like other Darker bosses, Falz Arm will be able to spawn anywhere in the world. Falz Elder probably won’t. I imagine you’ll need to complete this emergency quest at least once in order for it to show up outside of the quest however, the same as you have to with Fang Banthers. Something that was found some time ago through data-mining were suggestions that rare maps would be coming. Looks like that just got confirmed in the form of “parallel maps”. During regular runs, a teleporter may appear that will take you to a parallel universe. Rare monster encounter rates are boosted in these maps, so you’ll want to find them! Those areas certainly are pretty. These are the only three fields are shown off, currently, so presumably the parallel variants of the other fields aren’t completed yet. The lobby will be all Christmas-y leading up to the death of millions at the hands of Dark Falz. Xie will also be back to give out Client Orders as she did for Halloween and, just like then, will give out a special item for completing all her Orders. I guess she’s set to become a seasonal event NPC at this rate. The magic rocks are back, as the sub heading indicates. So far the only rock is Iritista which can be exchanged for various 10* weapons. The 10*s you can exchange them for seem to be rather lackluster. That purple Ruins Charm, named Ruins Gloam, is weaker than Lambda Alystine. Have a nasty feeling that the stones themselves will be much harder to acquire than the stronger 8/9* weapons too, but that’s based on nothing more than a feeling. Time attack quests will now be solo-able. How the missions themselves have changed isn’t revealed yet as far I know. This change should also be introducing new Client Orders for soloing these quests. . Loved the idea when it was presented back at the start of November, so it’s great to see it’ll be with us soon. It’s one of those features that feels like it should have been in the game from the start. This is one of the promised features to be added, an increase to the number of simultaneous Client Orders that premium users can register as well as a boost to medical drinks (also for premium users) will be added. Really not liking the sound of the premium-only medical drink boost, it has some real potential as a true pay-to-win feature. This update doesn’t seem to include the “Darker Nest” field, which contains a couple of new enemies (the mantiswarriors!). I’m also not sure if this update will include the rare variant of Dargash, but we’ll see on the day I suppose. The update site indicates that there will be no story mission this month, as the grayed out buttons on the update site are “System” and “AC Scratch” respectively. Possibly due on the 19th of December. Looking further ahead, there’s the question of whether or not the Vita release will see a mission involving Hadred being added, which is the named version of a new dragon-type enemy (which also has a rare variant). To finish this post off, a concept piece of Falz Hand from Sakai’s blog. Incidentally, according to Sakai we’re not quite done with the first Episode just yet. There is more to come in January with an update tentatively titled “A Future Worse Than Death”. The 1st of August will see the addition of naked people, palm trees in the lobbies and birds in tubes. Fang Banther will also be added in this update and looks to be as annoying to fight as his snowy cousin is. The 8th of August will see the addition of the new field revealed by Famitsu yesterday, Amduscia’s Floating Continent. Amusingly the name myself and others have been calling it in IRC, “Dragonland”, has become its official alias. I wonder if that’s our fault or whether the devs were also amused by that name? Dragonland was what the area was referred to internally by the client, found through datamining. The official site put the update page up, with higher quality screenshots and a trailer on Youtube which I’ve embedded below. You will need to be lv35 to access the first Floating Continent missions. Dinians are on the islands after all. Like the other Dragonkin on the islands, they are reskinned. 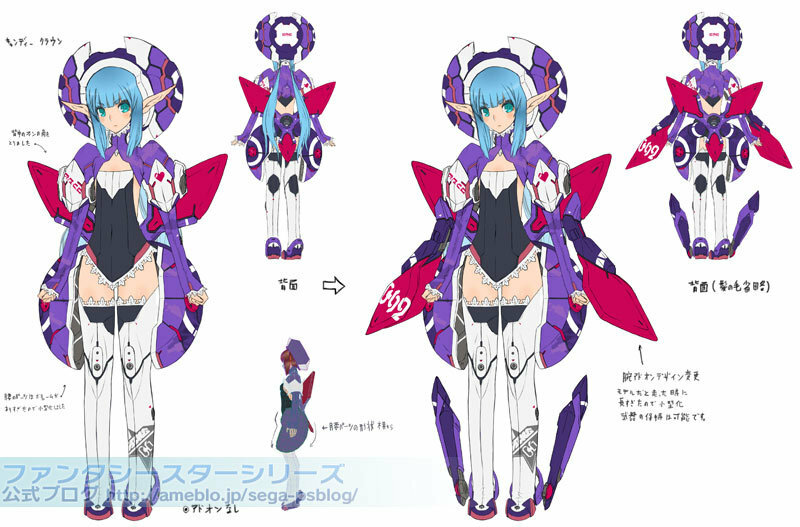 One of the reskinned Dinians is named “Set Sadinian”. Fish-type Darkers, such as Gawonda, also populate the islands. A new fish-type Darker named “Dahgash” will be introduced. Sadly its internal name, “FloatageFish”, is not an official alias. MW will be added to the Shopping Lobby, next to the makeover counter. Phantasy Star Universe is coming to a complete end with the closure of the Japanese servers on the 27th of September. Official post here. Translated details of what’s left for the servers by Espiokaos can be found here. The reason I mention this at all is because those of you who played Phantasy Star Universe on the Japanese servers will be able to convert any leftover Guardians Cash into Arks Cash. Details as to how you can do this have yet to be revealed, but the alternative appears to be to have any remaining Guardians Cash refunded into Webmoney. 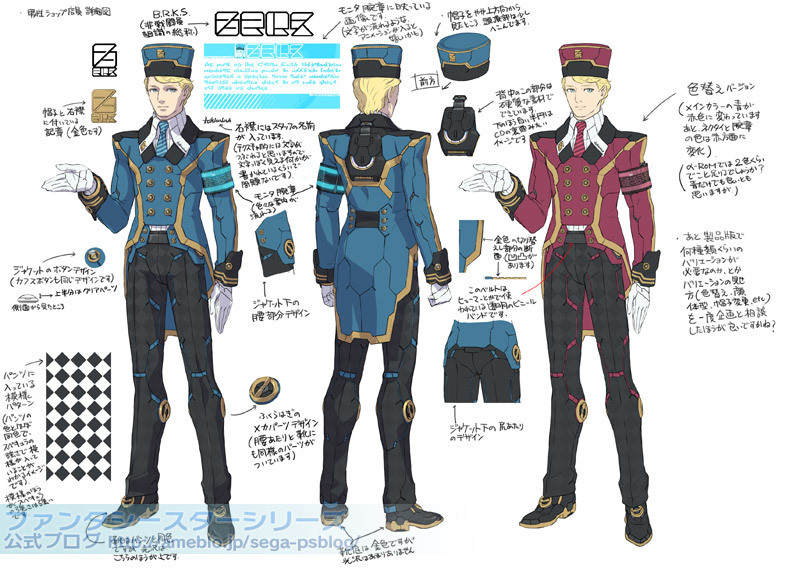 To finish this post, have some concept art of the new costumes being added on the 1st of August. Well, Dragon. 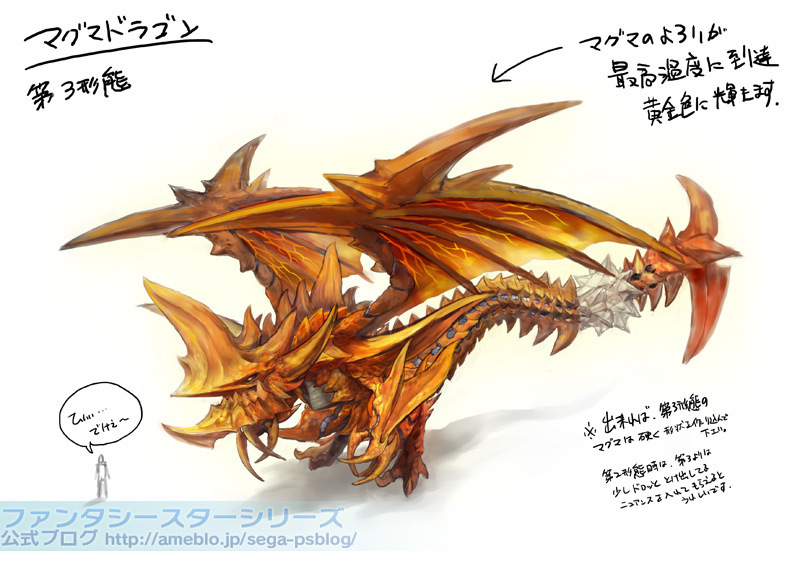 Sakai posted up some concept art of the Vol Dragon, the boss of the volcano area of planet Amduscia, on the official blog.. I’m afraid the rest of the post doesn’t actually seem to contain anything particularly new. In case you don’t know about the dragon, I will explain. It has 3 visual forms, but technically 4 phases. It switches to the next form and phase by digging into the ground. Each form is more aggressive than the last, with the 3rd form having no exposed weaknesses at all. While in the 3rd form, the dragon can dig underground again to enter its 4th phase, which is visually no different than the 3rd. However it gains a new and very powerful attack, which if not blocked or avoided in some manner can kill players in a single hit. 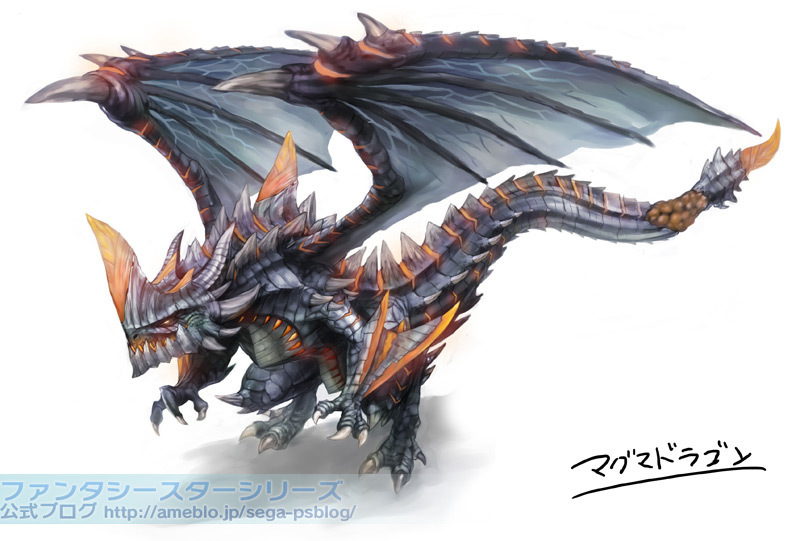 After expending all its energy in this attack, the Vol Dragon will revert to its first form and the cycle repeats. Breaking its tail at any point will also return it to the first form while also stunning it. The duration of the stun is longest if you break the tail while he’s in phase 3 or 4. Remember, the pre-OBT begins tomorrow at the times listed in this post. Not much longer to wait, now! Will there be an English patch? There will not be an english patch for the pre-OBT, as the creator of the patch (Agrajag) rightly feels that it isn’t worth the effort for such a short test. Whether there will be one for OBT and beyond or not remains to be seen. Be aware that the previous patch for CBT does not work for this test. 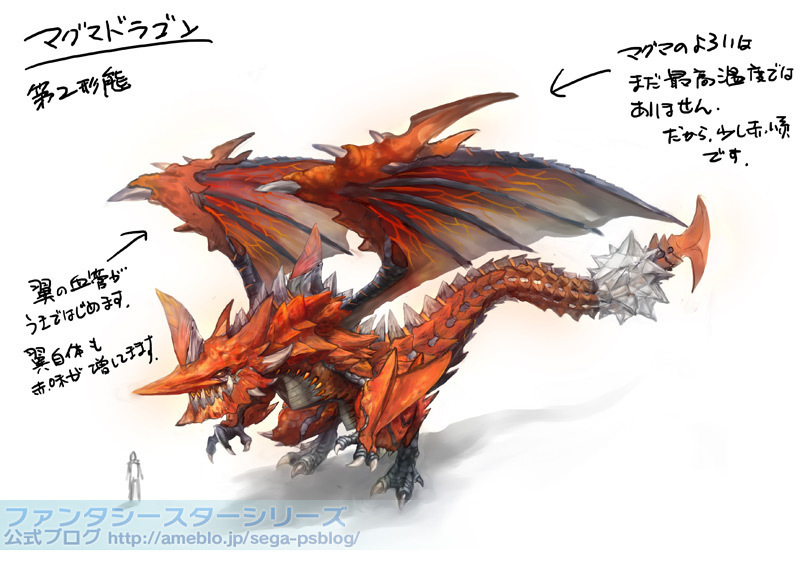 Author RaujinnPosted on June 14, 2012 June 14, 2012 Categories UncategorizedTags Concept Art, PSO2, PSO2 Related Sites, Satoshi Sakai, Vol Dragon1 Comment on Dragons! 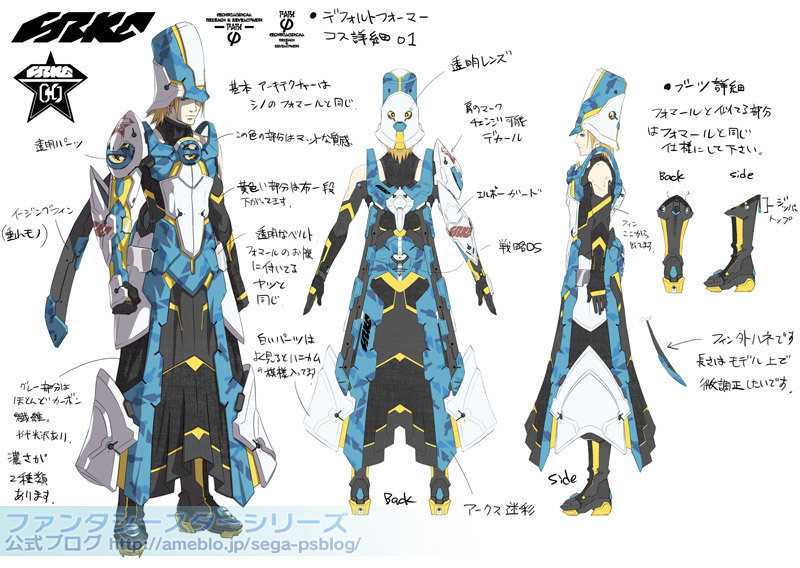 Sakai’s updated the official PSO2 blog today. The biggest news is he announced that we may hear something about the Open Beta at the end of May. Open Beta may not be all that far off after all if so. Maybe. 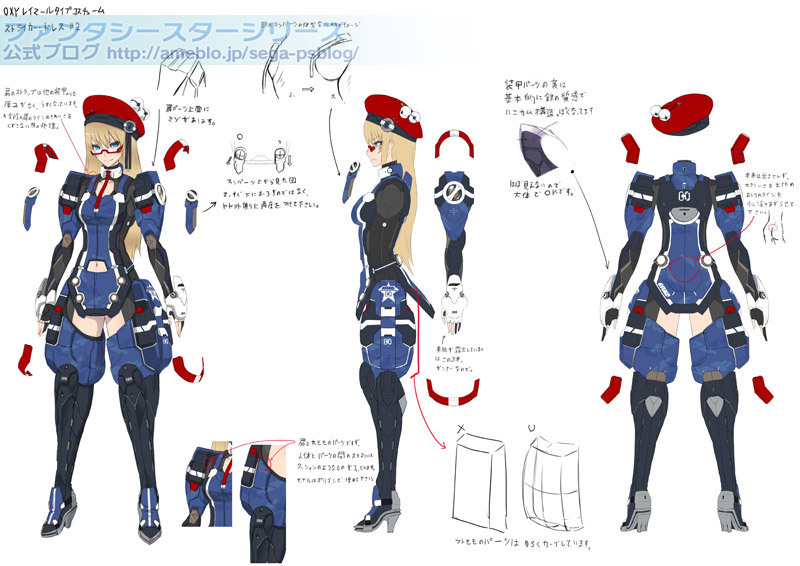 Also, due to the changes in Japanese law the complete-sheet gachas will be removed from PSO2. 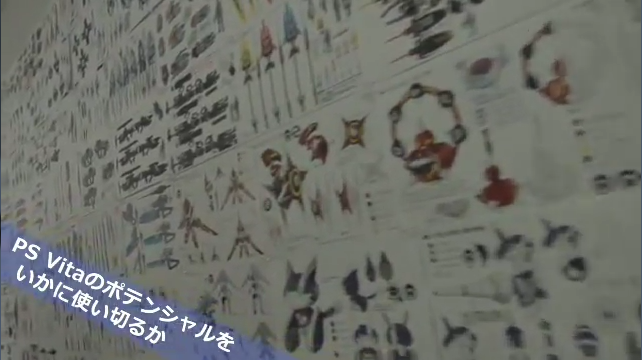 That’s the complete-sheet only, gachas (cash shop item lotteries) will still be in PSO2. Character creation contest results – In case you care. Also the winner of the character creation contest was announced. The only remotely interesting character design won, with the rest of them looking like something the random generator would spit out. “mw”, the grand prize winner, taking over a third of the vote. As the prize included an NPC of them appearing in-game, expect “mw” to turn up at some point. 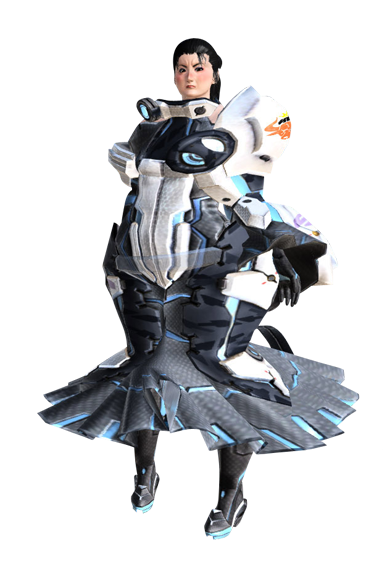 Though exactly what this homage to a famous Japanese transvestite will actually do in-game is anyone’s guess. I’m somewhat amused by the 2nd place winner, given that the prize is a 3D print. A skinny loli with the FOnewearl hat, which itself has long thin bits on it? Yeah the 3D printer is gonna love that. As for the rest, who cares. If you happen to, you can check the rest out here. Been a while since we’ve had one of these. This time it’s of the outfit that Lisa wore. That Cast with the huge “I want to stab you while you sleep” eyes who’s in the banner of this post. Seen at least 2 gimmick twitter accounts of her floating about.. 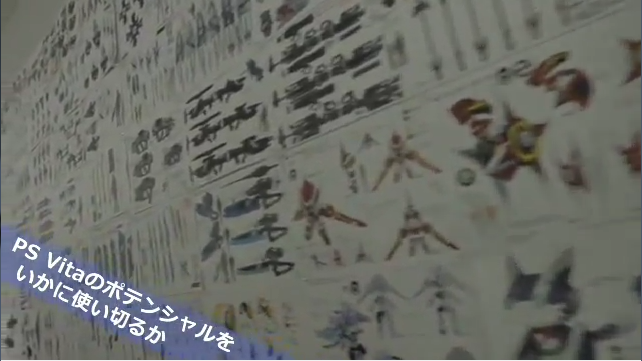 So during the PSVita Game Heaven video, revealing the handheld version of PSO2, you may have noticed some shots of a wall covered in concept artwork. Plenty of others noticed this as well, so this post is going to be looking at various thoughts people seem to be having as well as my own ideas. Shougai made a post about this particular item, speculating that it may be a shield. 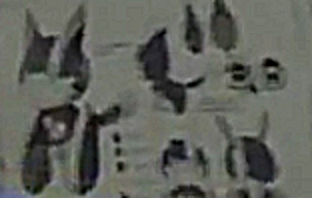 It certainly does resemble one to a degree, but the character in the picture appears to be holding something in a very non-shield like pose. If it’s presenting how this weapon is meant to be held, that would make it similar to how daggers have been held in PSU and PSO. It’s a very odd-looking dagger if it is one, however there have been references to daggers found through data mining efforts. No references to shields were found, but the results of data mining the 2nd alpha client may not be entirely relevant still. Personally speaking, seeing as Hunters have tank-like talents that they can unlock on the skill tree I wouldn’t mind seeing some defense-oriented weapons to compliment the build. Now what could this little fellow be? 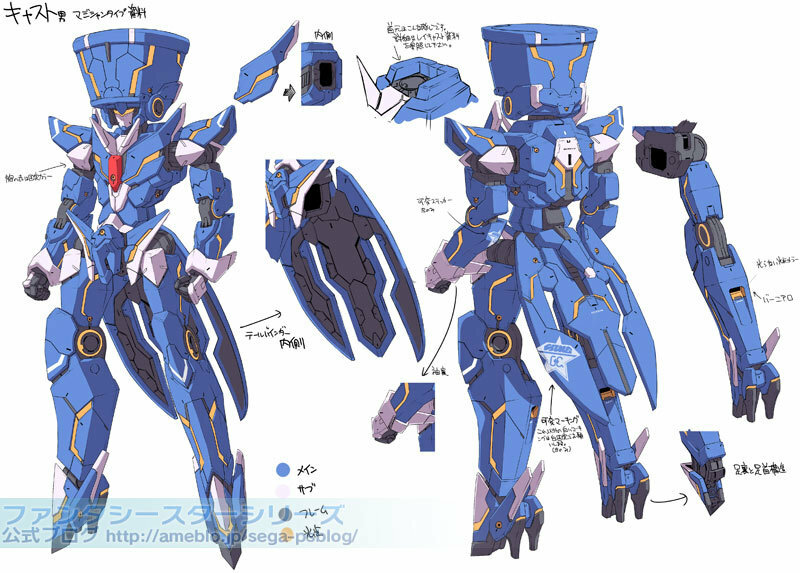 I think it resembles a Medabot, myself, but of course that’s not what it is. Thoughts in the community seem to be between a type of Mag or a Partner Machine like we saw in PSU. This one is up in the air, really, as there’s nothing that’s been said or that’s been data-mined that could hint as to what this could be. I like the idea of it being an end result of a mag the player has raised, however. It follows you into battle, riding on its hoverboard. When trouble arrives, it hops off its board and converts it into a weapon to help you to carve up your enemies. 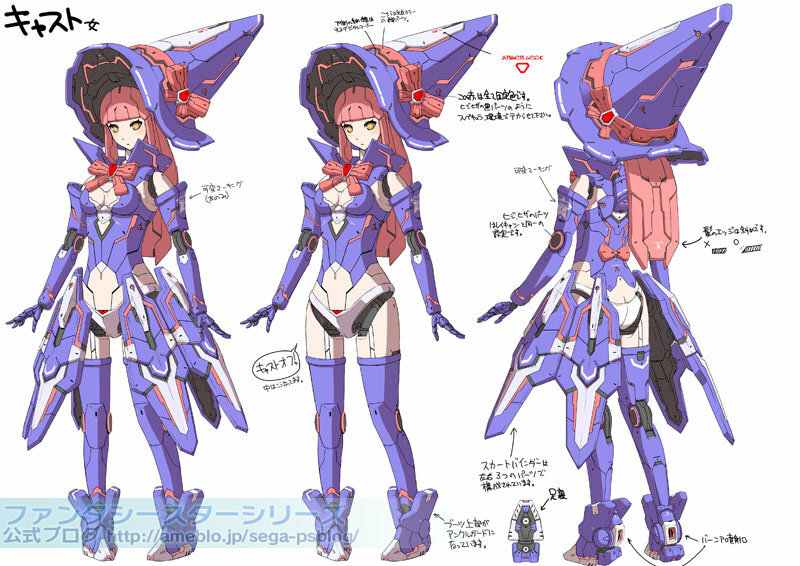 This would essentially turn it into a fusion between Mags and Partner Machines. Looks like it’s the same little robot again. Speaking of little robots! A Mag! This is fairly unambiguous so no real speculation needed. This image I had to take some liberties with the resizing, given the awkward angle it was shot at in the footage. Using unsharp mask doesn’t really help it, either. 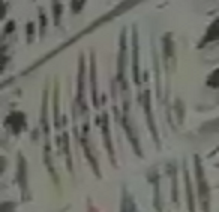 Anyway, the two main speculations about what this could be is either a selection of long-bows or double-sabers. My first thought was long-bow, but to reference the data mining efforts again there is no long-bow type, yet. There is direct mention of a double-saber type, however! 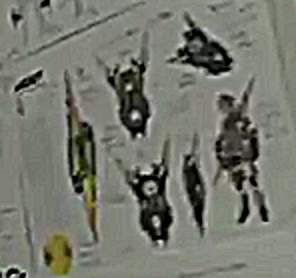 Notice how each of the weapons also seems to have a version where they’re joined together and a version where they’re split up? 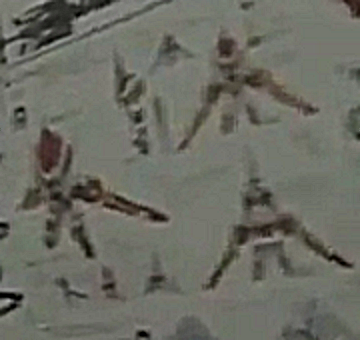 This leads me to believe that they are in fact double-sabers, but also that double-sabers will have 2 attack modes. One where the weapons are joined together and the other where they’re split up to become twin-sabers. It wouldn’t be the first weapon to switch between two attack types, as Gunslashes already do this (melee and ranged mode). 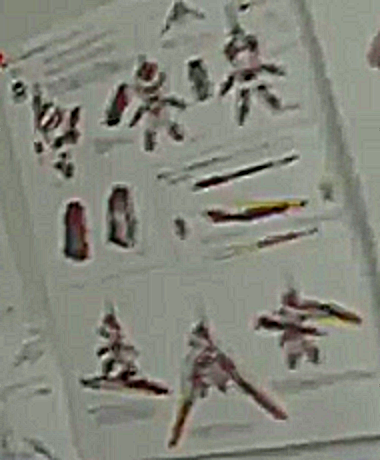 If this turns out to be true, it does make me wonder how the two modes will affect the photon arts bound to the weapon. 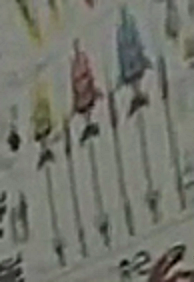 A selection of what appear to be some kind of ranged weapon. 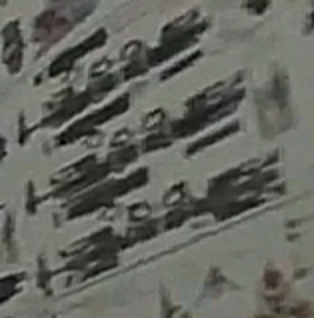 The main speculation I’ve seen is that this is a Launcher of some kind. Launchers were a shoulder-mounted weapon in PSO that fired a piercing projectile through enemies. They were replaced by Laser Cannons in PSU, which serve a similar purpose. Data-mining efforts have found references to a Launcher weapon-type, so chances are pretty good that this is in fact what we’re looking at. Finally, a selection of spear-type weapons. 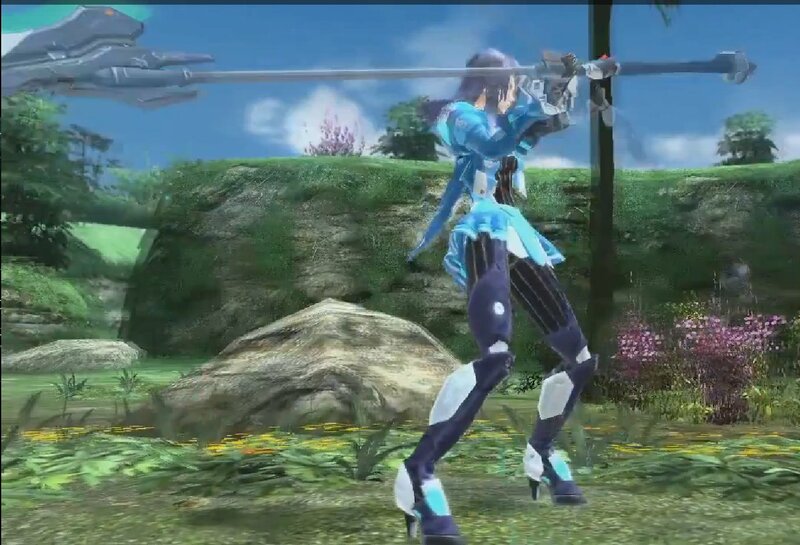 I would mention data mining again but you don’t even need to mine the client as a partizan-like weapon was being wielded by a HUmarl during one of the PSO2 trailers. A screencap of the aforementioned partizan-weilding HUmarl. That’s all I’m sharing speculation on for now, this post has already gotten longer than I intended it to get. So to finish it, here are the unedited shots of the wall of concept art, without having been put through any resizes or filters. Thanks to Vashyron of PSO-World for these shots. 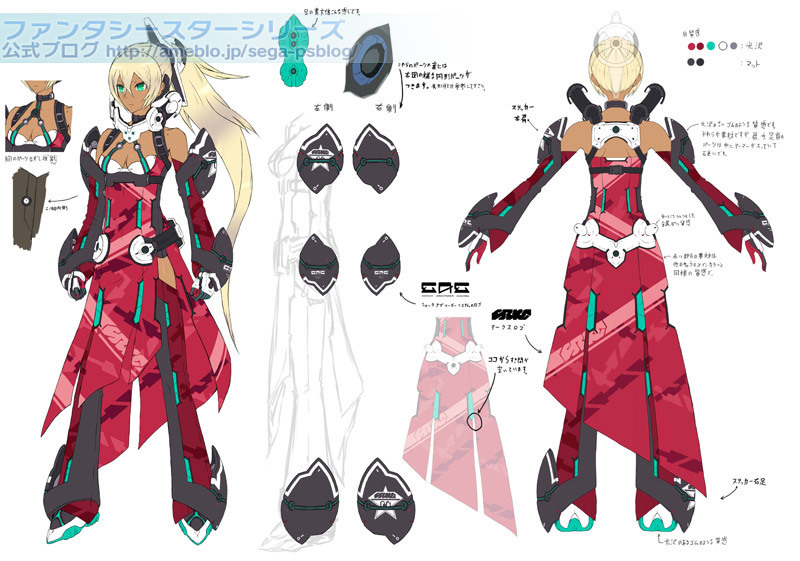 Author RaujinnPosted on March 12, 2012 March 12, 2012 Categories Concept Art, Unconfirmed FeaturesTags Concept Art, Double-sabers, Launchers, mags, Partizans, PSO2, PSO2 Related Sites, WeaponsLeave a comment on Wall of Speculation! So yes, looks like there will be a handheld version of Phantasy Star Online 2 on the PSVita. This version is online only and shares servers with the PC release of Phantasy Star Online 2, essentially turning into PSO2 on the go. So I’m afraid if you were expecting an offline side-story sorry to disappoint you. 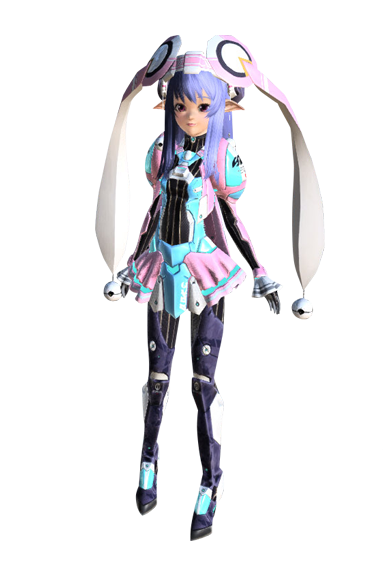 PSO2 on the Vita is only 10% complete at current, so we won’t be seeing it soon after PSO2’s release on the PC. My initial thoughts are that seeing as they use the same servers, what happens when the PC servers have a content update? I don’t know how the PSVita memory storage works, but I suppose it’s possible that the system could store patch data on it. But this just brings up another issue, in particular is there a danger that having 2 versions of the same game will mean we end up with staggered updates? Or worse, updates being held back from the PC version due to limitations on the PSVita version, as happened between Phantasy Star Universe’s PC and PS2 versions? I will admit that PSO2 on the go is a tempting proposition, but not one that would cause me to shell out for a PSVita any time soon. 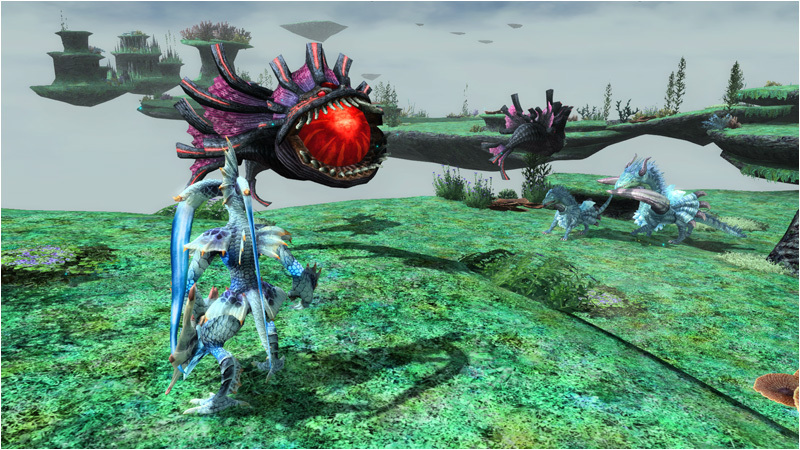 PSO2 on the PS Vita will be out some time in 2013, so says the official blog. 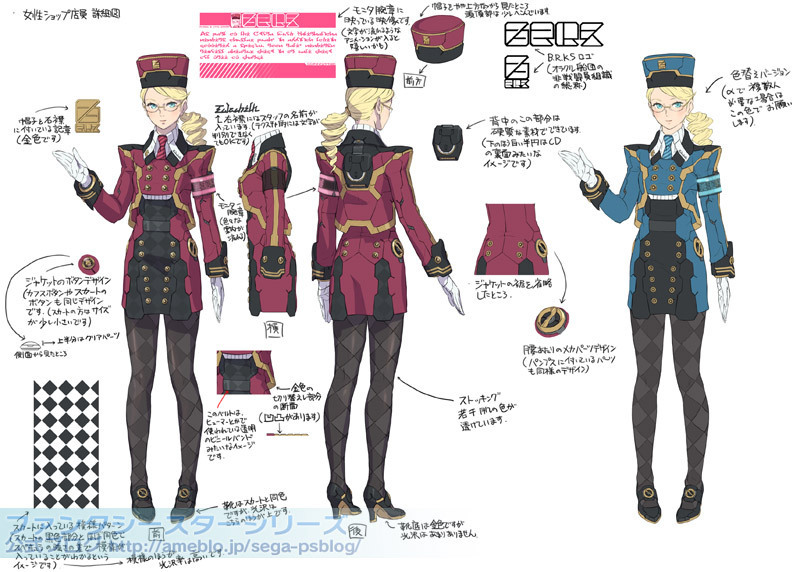 Well we’re out of all the race/gender defaults so now it seems they’re going to be teasing us with concept art of the outfits. 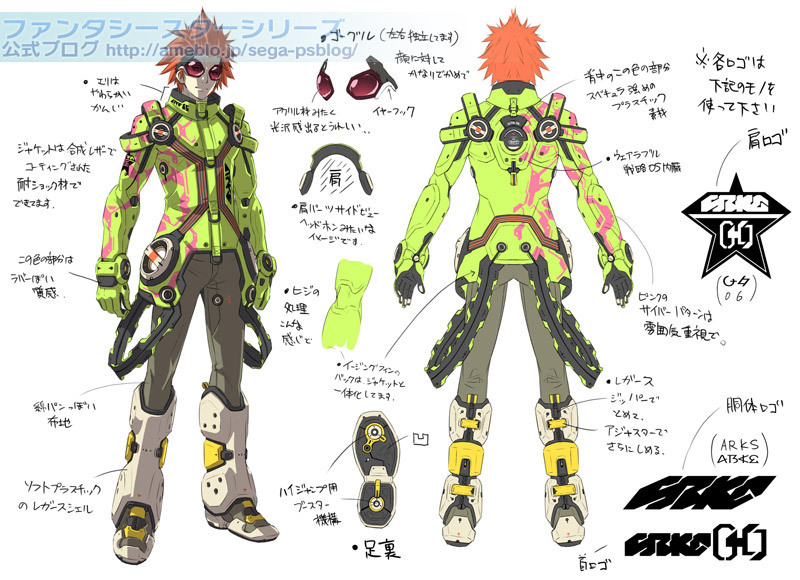 Getting a strong Jet Set Radio vibe from this one. According to an interpretation by Bumped here, these costumes will be available in the closed Beta but can’t be selected at character creation. I don’t think it’s a huge leap of the imagination that the costume shop may be opened for the next tests. This also confirms that only the race/class/gender default outfits will be available when creating characters, which isn’t particularly a shock. 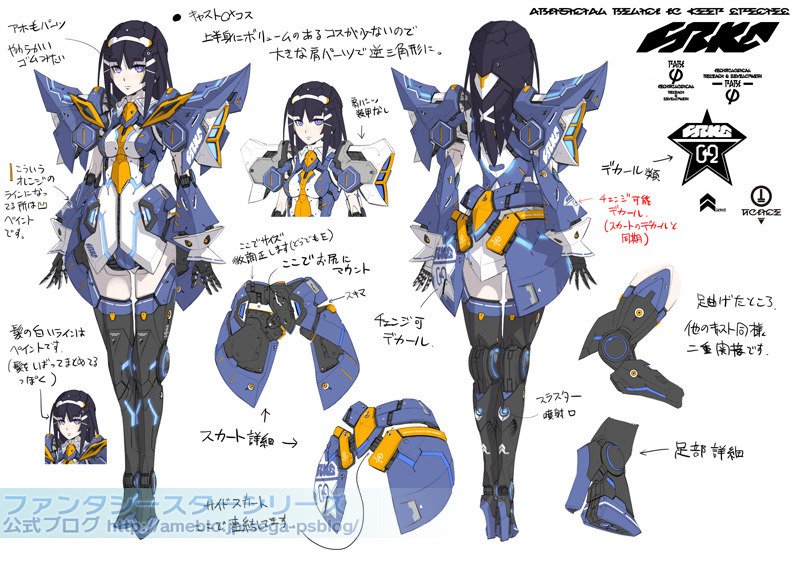 Author RaujinnPosted on March 9, 2012 March 9, 2012 Categories PSO2 News, PSO2 VitaTags Character Creation, Closed Beta, Concept Art, PSO2, PSVita, Satoshi SakaiLeave a comment on PSO2: Handheld Edition!